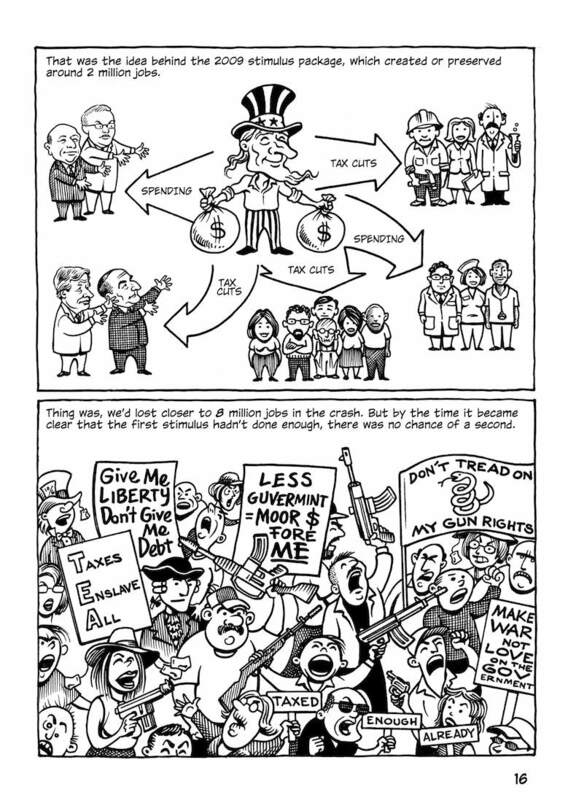 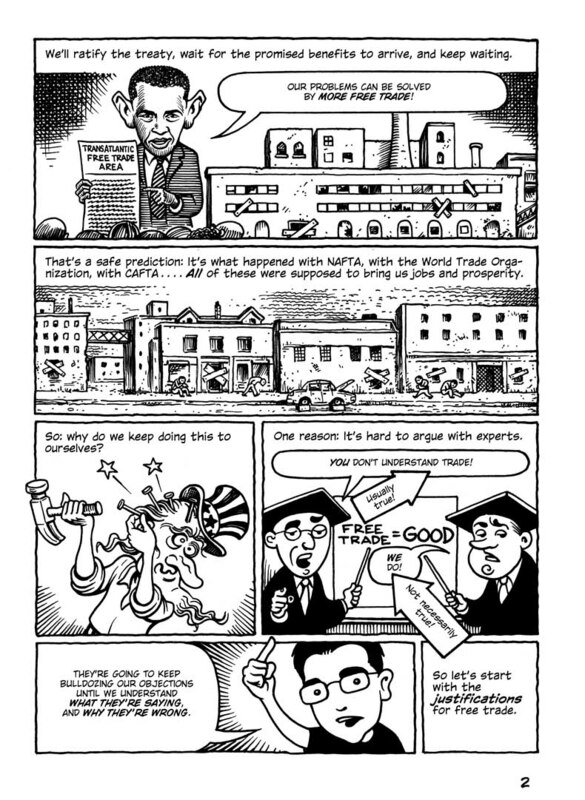 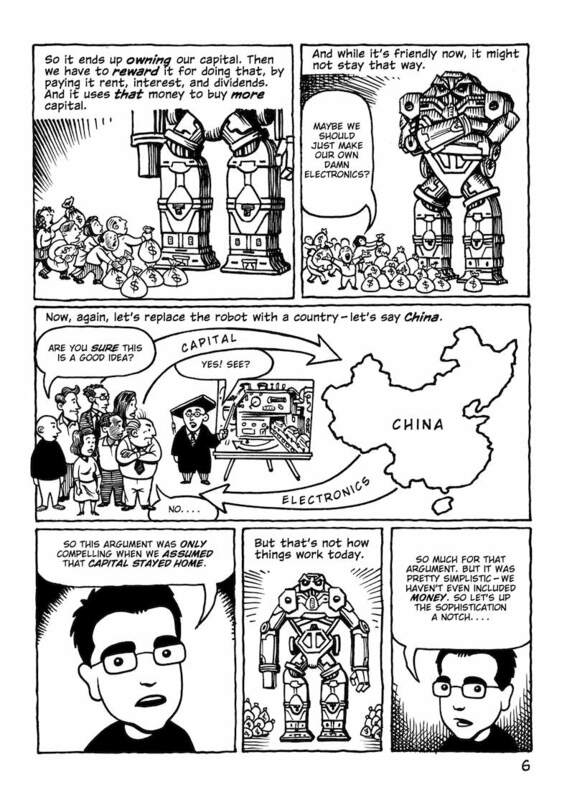 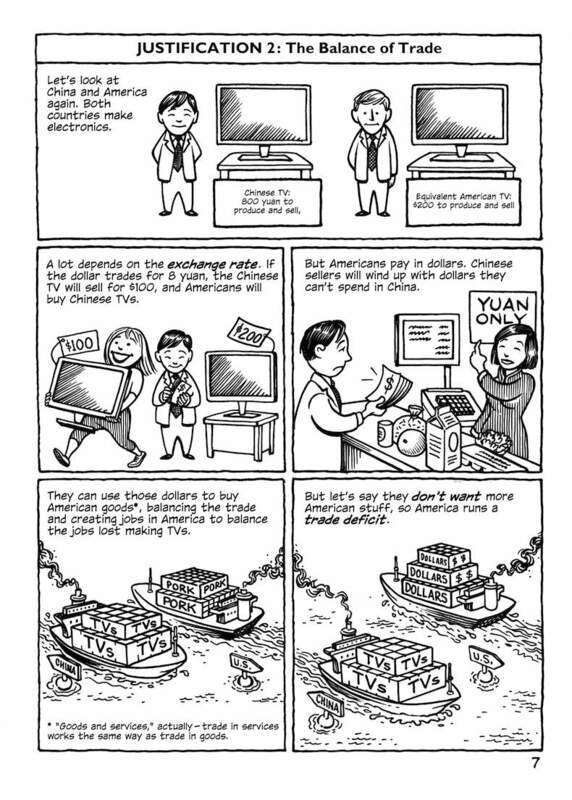 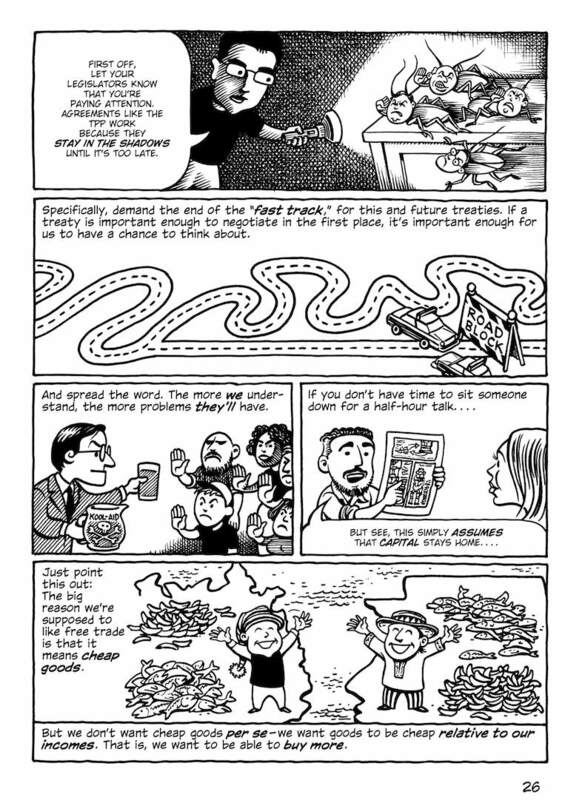 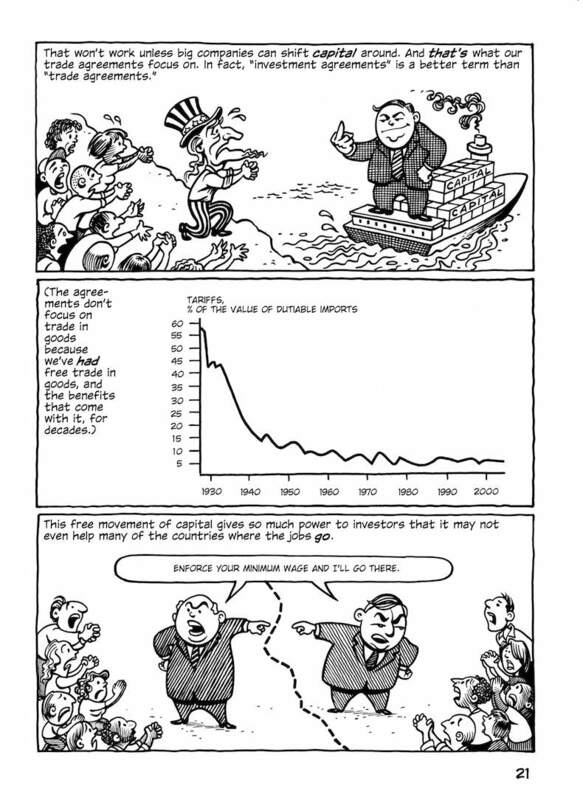 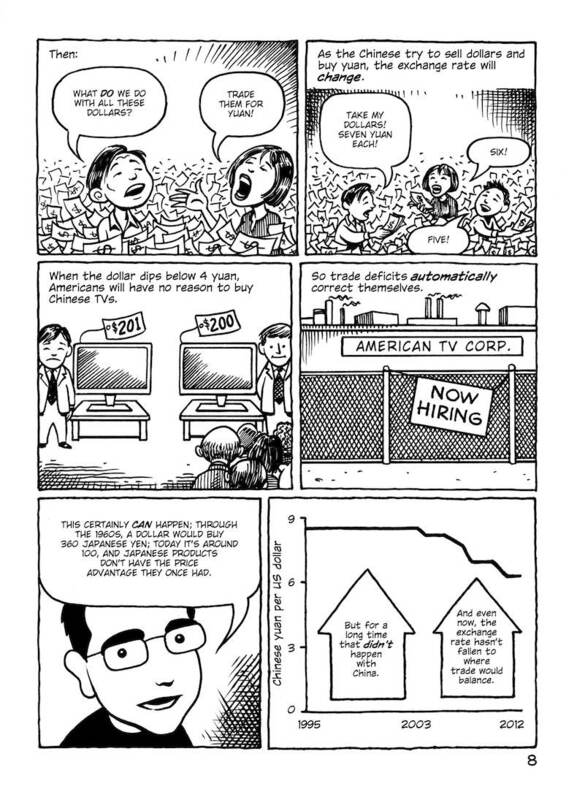 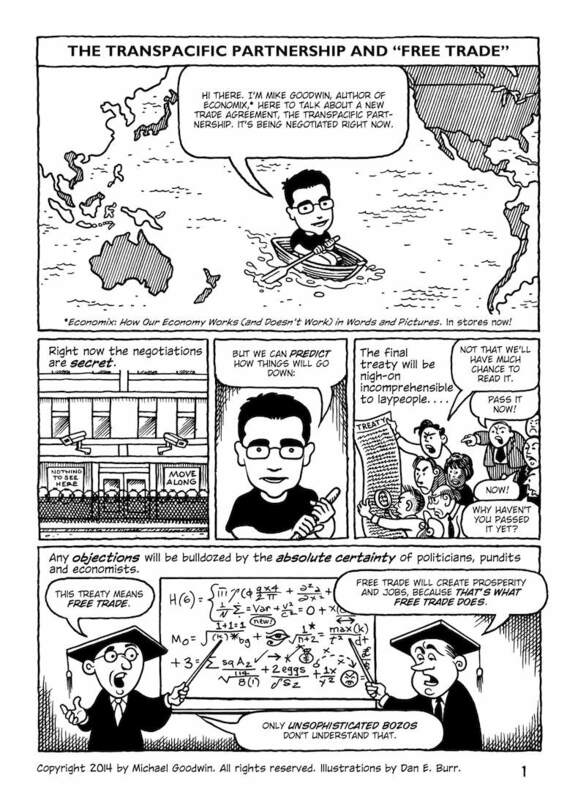 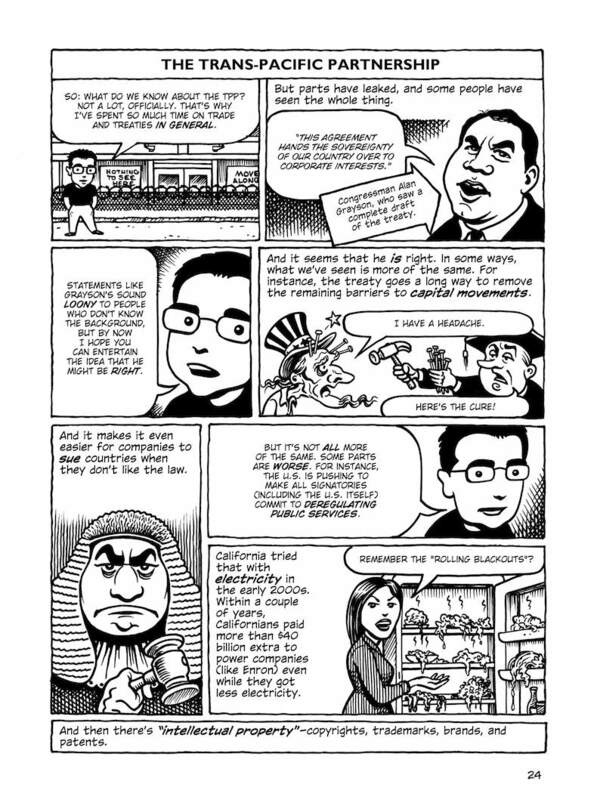 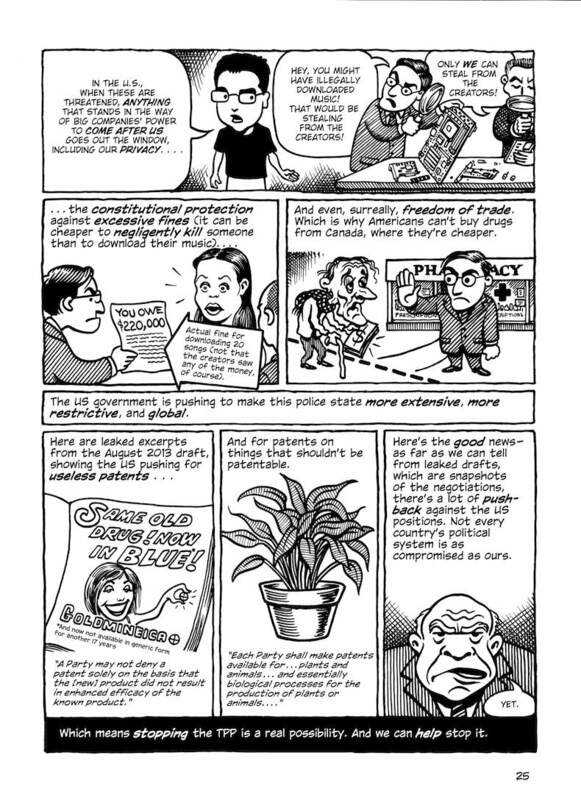 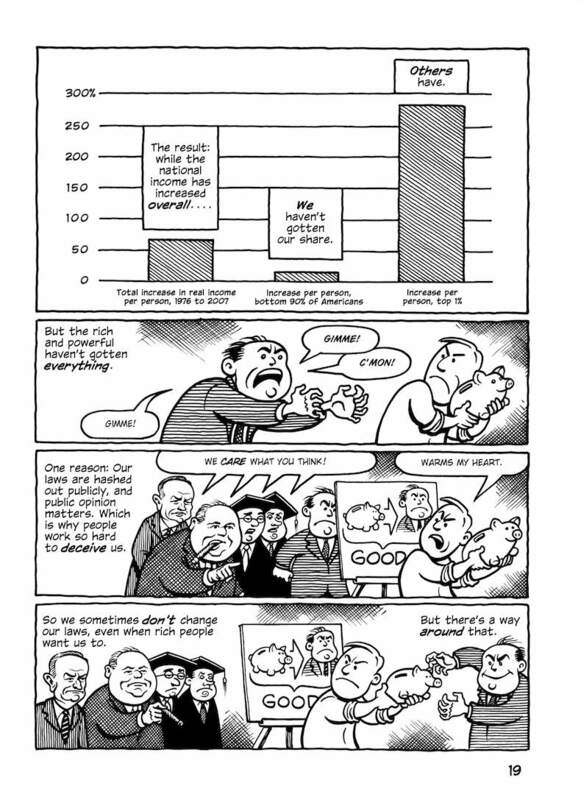 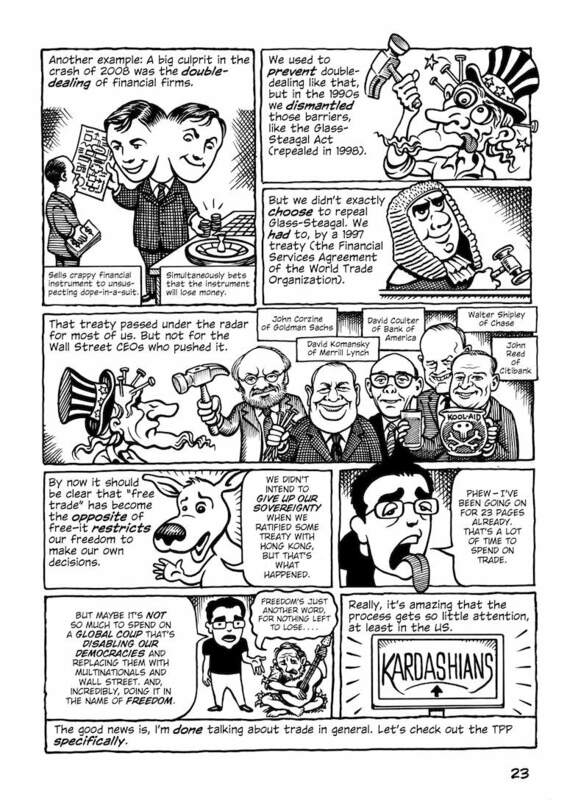 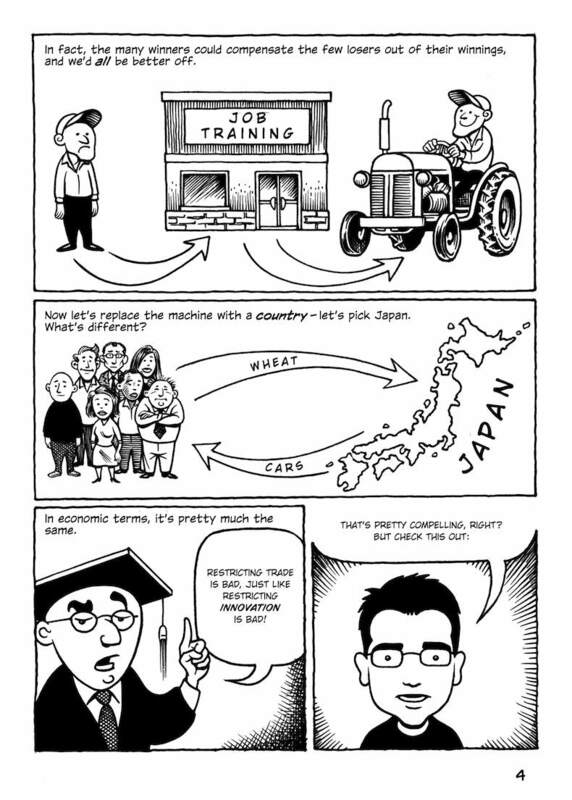 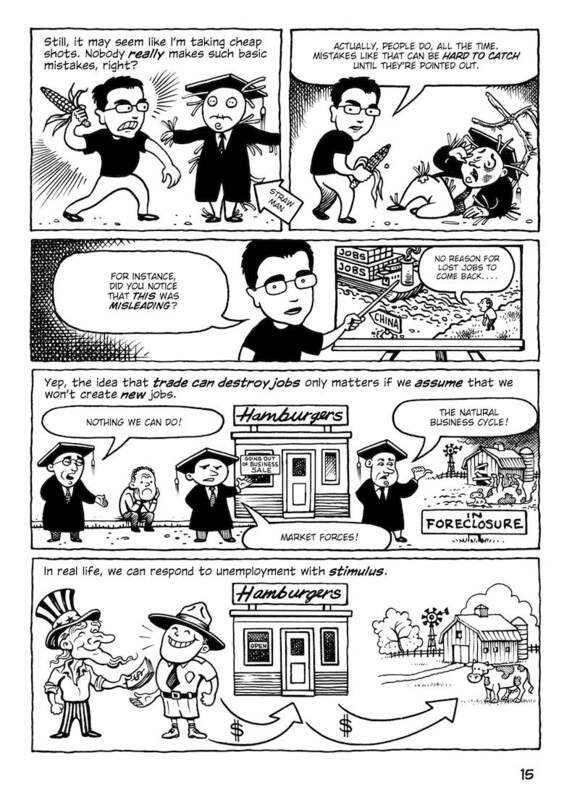 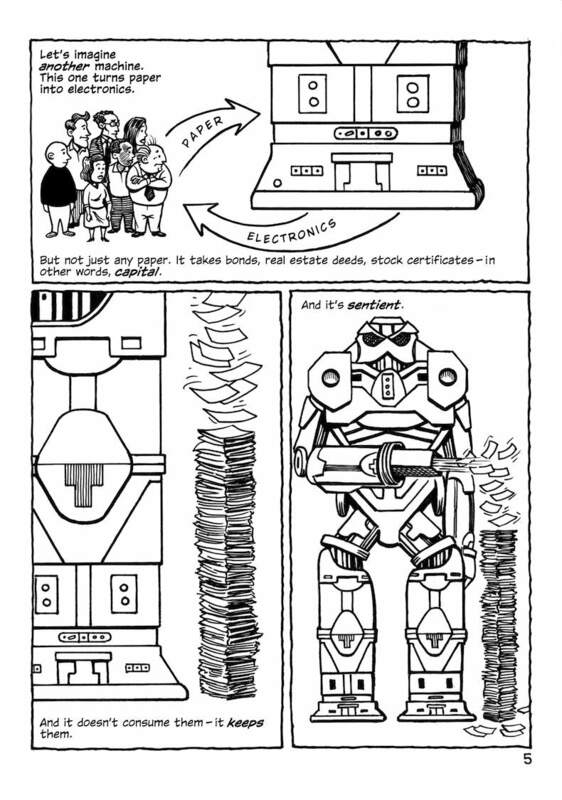 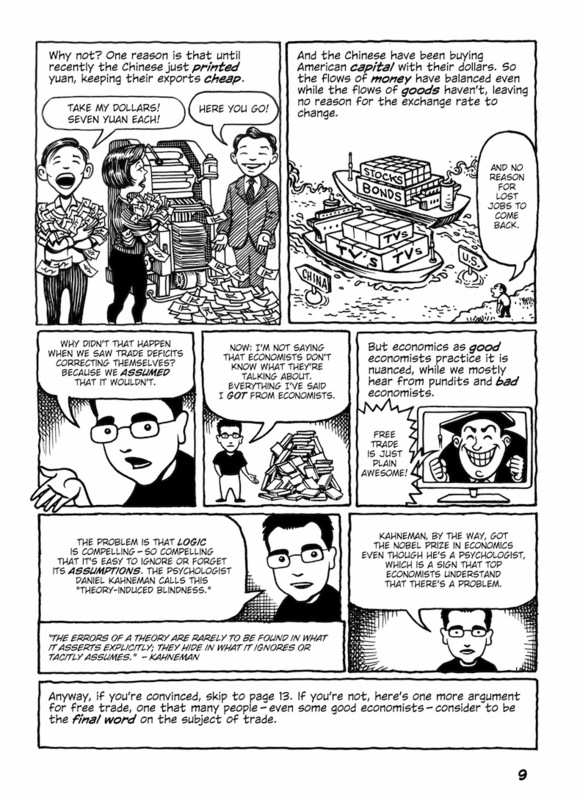 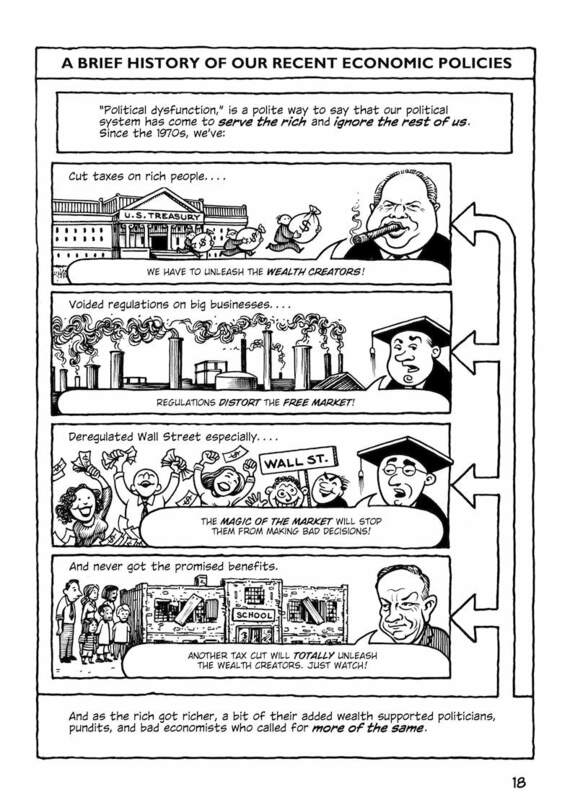 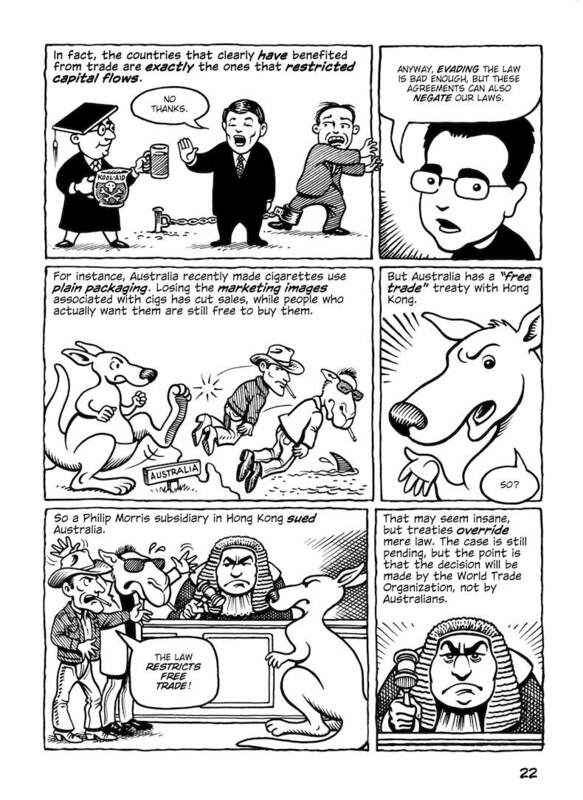 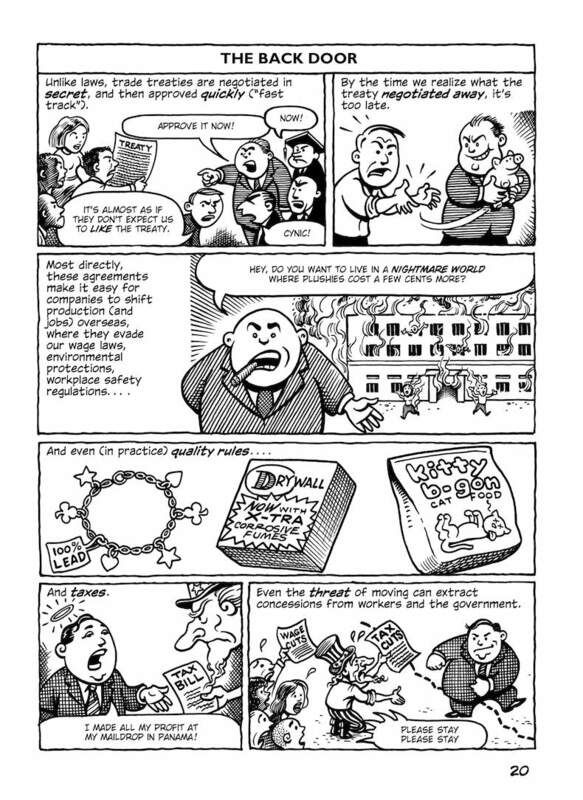 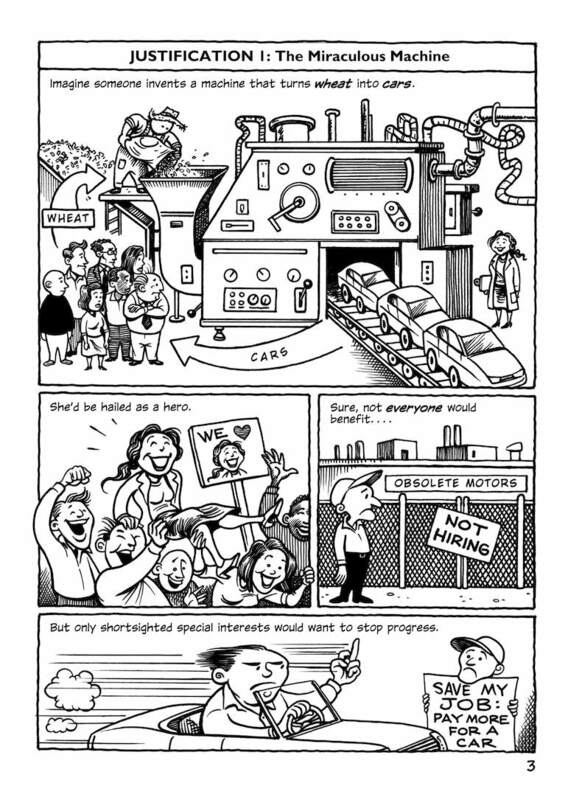 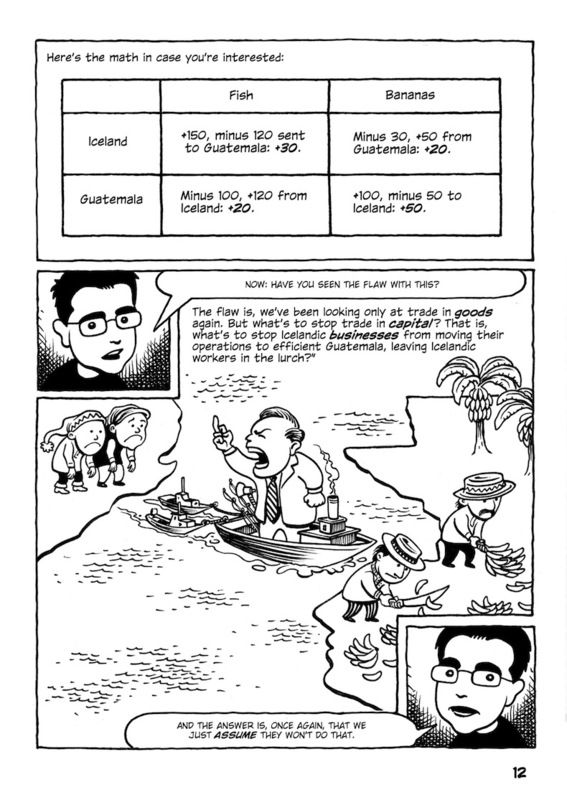 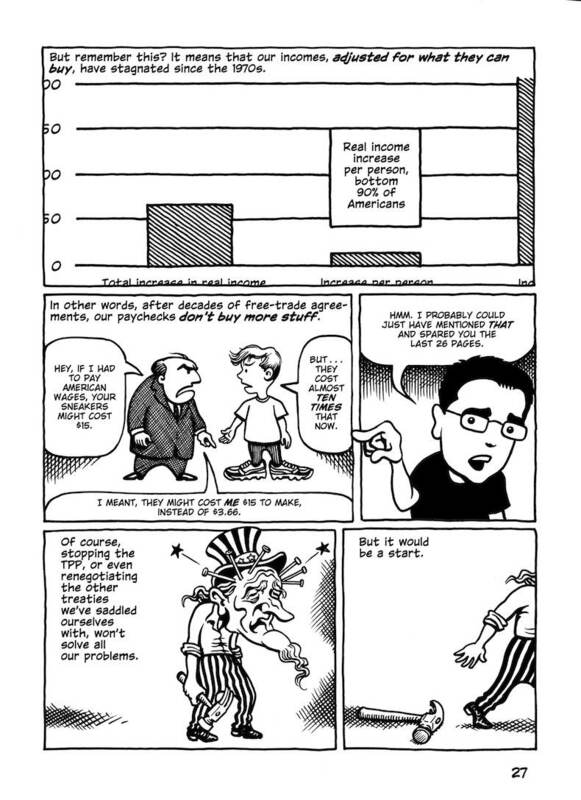 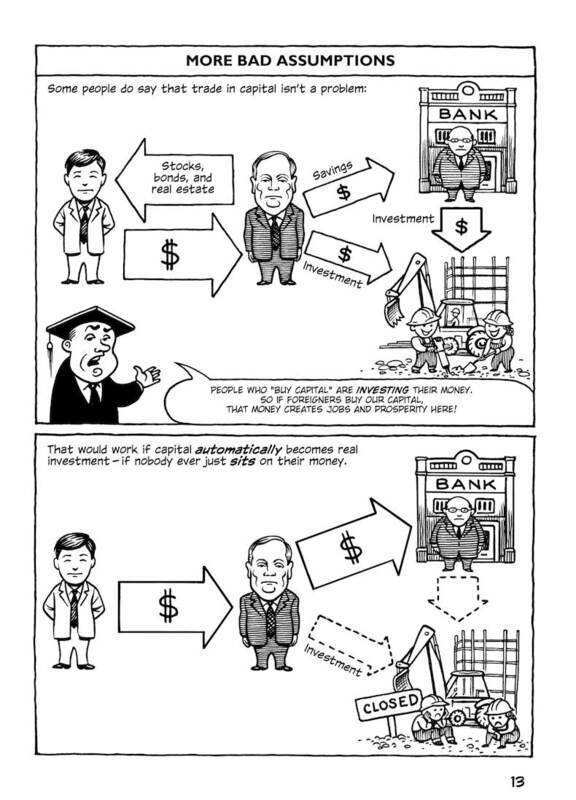 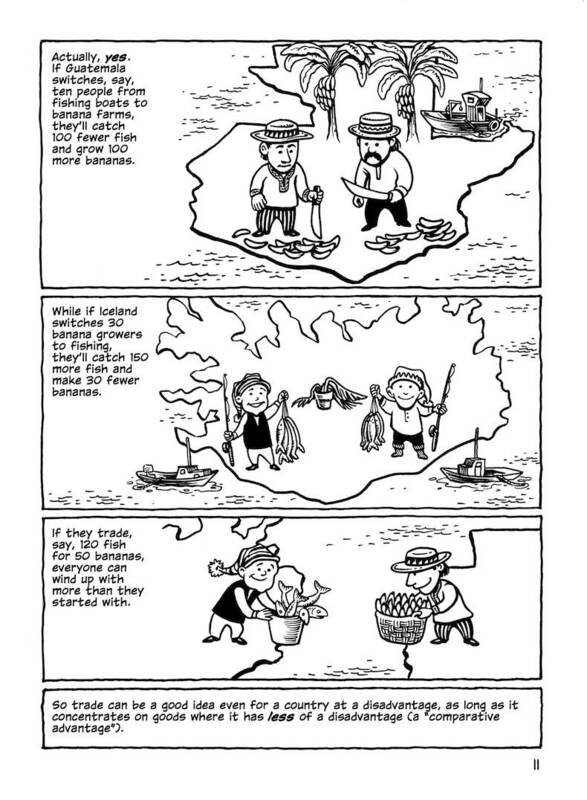 This comic about the Trans-Pacific Partnership was originally published in early 2014, when the full text of the agreement hadn’t been released; the final text was more or less what was expected (slightly better in some parts, worse in others). 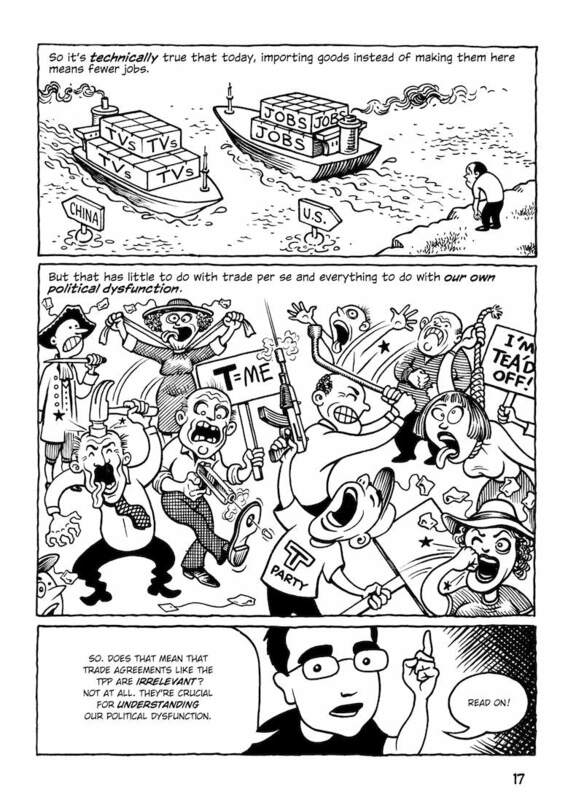 But in any case, the TPP is dead. 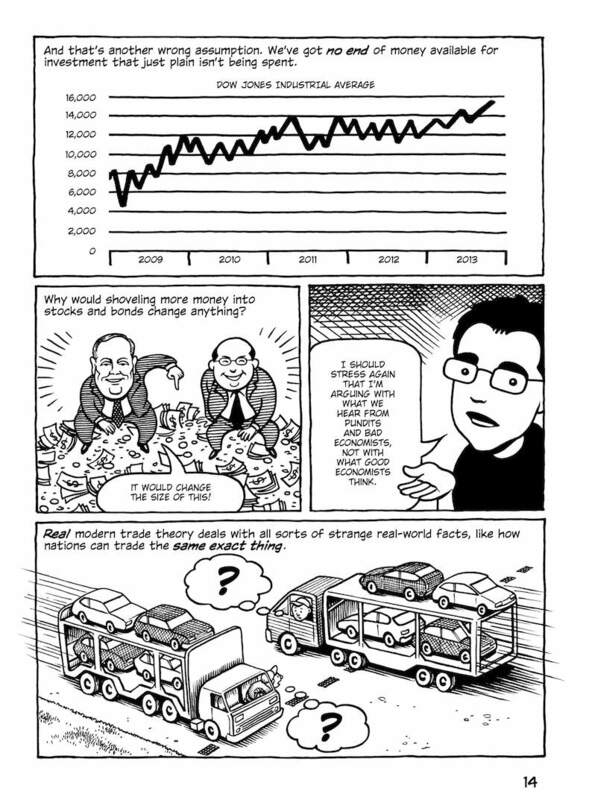 However, it turns out that investor-state dispute settlement is far worse than I knew at the time; check out an in-depth investigation here. 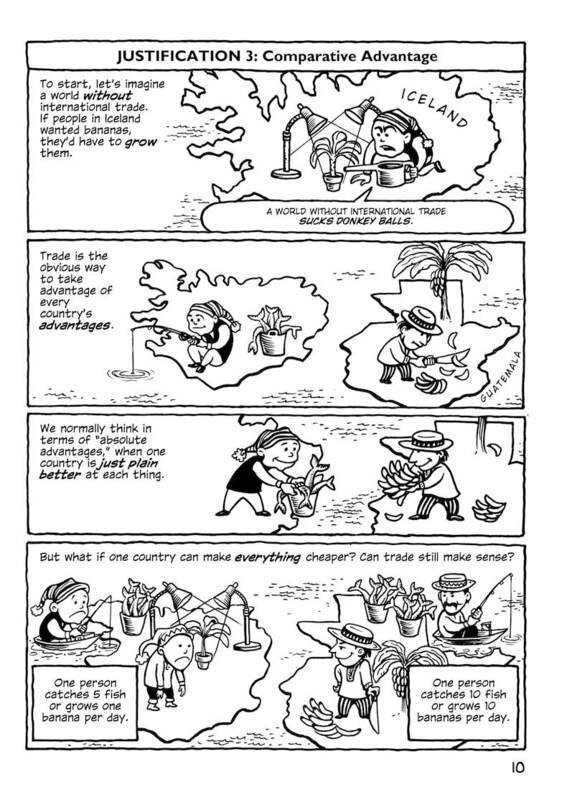 This comic in Greek, courtesy of the Pirate Party, who could have asked before they made it, but you know, pirates.